Our third dig day was with a select group of four volunteer diggers – the rain first thing may well have put some people off. Luckily it had dried up by the time we started digging, and the sun soon came out! 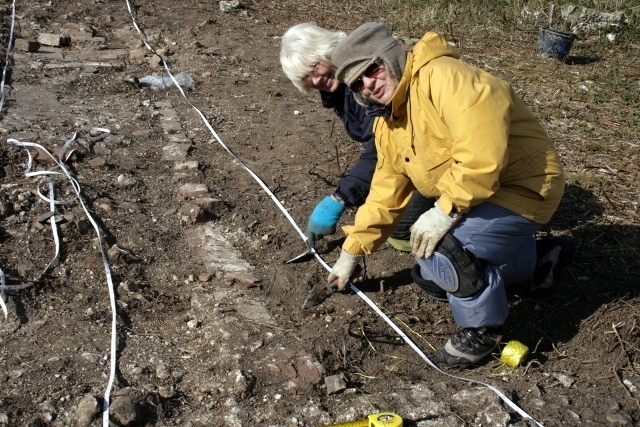 We excavated a 2x2m square on the western side of the south gable end of the cottage. This was an extension built sometime between 1873 and 1898. Those who lived there have said it was a sort of lean-to conservatory. Perhaps it was similar to this structure I photographed on one of the outbuildings of Saddlescombe Farm on their Open Day last Sunday. 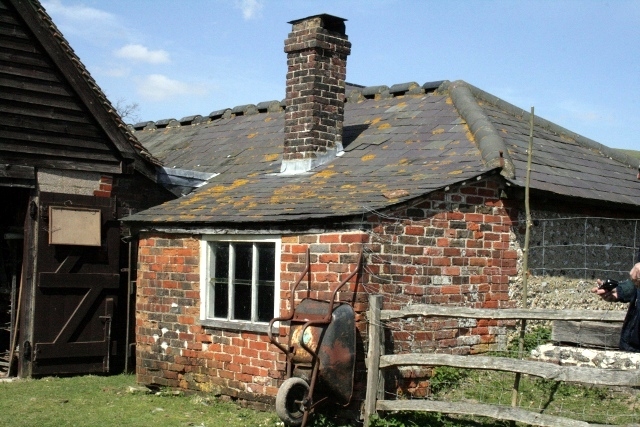 Extension to outbuilding; Saddlescombe Farm. I suspect this part of the building was badly damaged during or after the war. There were very few finds, just a few fragments of window glass, part of the neck of a bottle, and the inevitable slate tile fragments. I suspect the bulldozer cleaned out out this area, and moved its contents to the large rubble mound. Plan of site showing excavated features. Traced from a base plan in ESRO. A visit from Bill Santer of Brighton and Hove Archaeological Society was very welcome. He gently reminded me of the importance of a site grid, which I had been humming and ha-ing about for some time, and hadn’t got around to formally implementing. It is now based on a well anchored point 1m to the south and 1m to the west of the southern junction of the garden and farmyard boundary walls, is almost nearly on a north-south axis, and runs parallel to the house-garden/farmyard boundary wall. 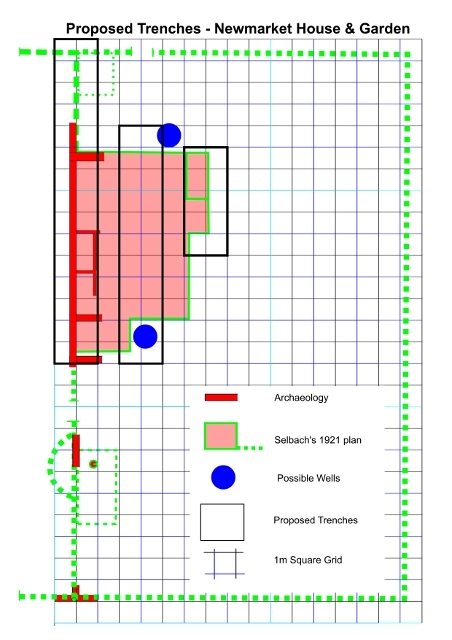 The proposed trenches shown above are a compramise between “open area excavation” and discreet trenches. The 1m wide proposed “baulks” between the trenches preserve a portion of the archaeology untouched for future archaeologists, though portions of them may be removed in order to better understand particular features about which we may want to learn more.